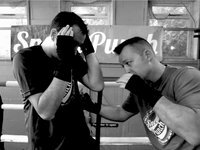 “Double jab, cross hook” – a simple punch bag technique for this weeks video. 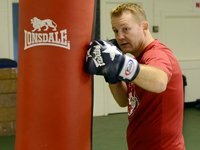 Boxing is all about doing the basics correctly, so nailing the simple techniques in training is essential. 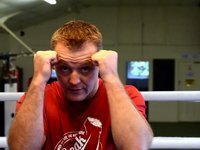 I have sShow More een a lot of fights over the years and witnessed good fighters lose, just because they hadn’t drilled their basics. 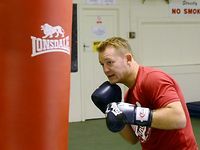 There is really nothing like entering the boxing ring, you are on your own, experiencing a fight to survival. 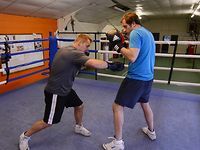 Very often I see students who have trained well, look good on the pads, great at sparring – but as soon as they hit the ring in the first few fights, all their training goes out the window, as the adrenalin kicks in and they start thrashing wildly with haymakers. 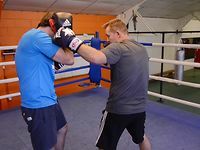 The more time you put in practicing keeping your guard and movements tight and making (throwing the jab and straights) second nature, the better your chances of survival. 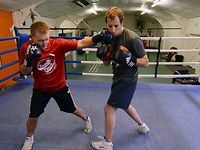 You can keep your wildly thrashing opponent away with good, fast, stiff jabs and beat them to the punch with concise straight crosses. 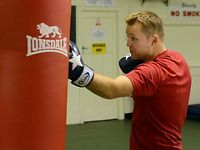 Unless one of the haymakers gets through – 9 times out of 10, the relaxed, well drilled fighter wins the day.